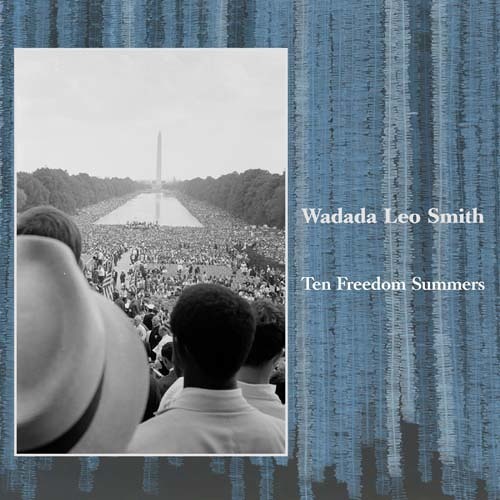 PURCHASE Wadada Leo Smith's 'Ten Freedom Summers' (Cuneiform Records) @ AMAZON - http://www.amazon.com/Ten-Freedom-Summers-Wadada-Smith/dp/B007JZFX9C/ BANDCAMP - http://cuneiformrecords.bandcamp.com/album/ten-freedom-summers-2 WAYSIDE - http://www.waysidemusic.com/Music-Products/Smith--Wadada-Leo---Ten-Freedom-Summers-4-x-CDs__Rune-spc-350-353.aspx Trumpeter/composer Wadada Leo Smith’s Ten Freedom Summers is the work of a lifetime by one of jazz’s true visionaries, a kaleidoscopic, spiritually charged collection of 19 compositions inspired by the struggle for African-American freedom. Triumphant and mournful, visceral and philosophical, searching, scathing and relentlessly humane, Smith’s music embraces the civil rights era’s milestones while celebrating its heroes and martyrs. Blending improvised and notated music in a synthesis of European classical, African American, and creative music practices, the music speaks in a singular, clear and powerful voice unlike any in contemporary music. Recorded shortly after the music’s October 2011 world premiere in Los Angeles, this four-CD set features one of Smith's most significant working groups, The Golden Quintet with the composer on trumpet, pianist Anthony Davis, bassist John Lindberg, and drummers Susie Ibarra and Pheeroan akLaff, as well as the nine-member, Los Angeles-based contemporary classical group, Southwest Chamber Music, under the direction of Grammy-winning conductor Jeff von der Schmidt. It documents a stunning, career-capping accomplishment by a musical giant in the midst of an astonishing creative surge. As Larry Blumenfeld wrote in the Wall Street Journal after attending the premiere: “Ten Years in Three Nights: A Decade's Triumph… Ten Freedom Summers was as striking a display of his expansive vision and his vitality. He still plays trumpet as he always has: with little vibrato and a tone that can be either boldly declarative or soft to the point of breaking… Mr. Smith had made his own statement through instrumental music. And it sounded complete.” Written over that past 34 years, each of the 19 compositions addresses a different facet of the Civil Rights movement of 1954–1964, The music honors heroes and events in a transformative period of political and cultural liberation, a period that not only shaped all aspects of Smith’s life and art, but all of America as well. With its emotional depth and power, formal intricacy and elegance, and clarity of execution, Ten Freedom Summers can take its place among the landmark compositions of the past dedicated to the Civil Rights movement, such as John Coltrane’s “Alabama” and Max Roach’s We Insist: Freedom Now! More than any album in recent memory, these four CDs of ambitious, towering music—by turns majestic, tragic, joyful, and contemplative—feel like one for the ages, an album that generations of future listeners will turn to for inspiration and spiritual refreshment. A classic of American music is born. O Yeah! Love that horn! !